Adekunle Gold has fast become a household name in the Nigerian music industry. With his debut album launch already a critical hit, it is only necessary that we highlight briefly on the talented singer. Some people know him for his hit single Orente, others for Pick Up, well there is more to Adekunle Gold than the mentioned singles. Here are 25 facts you should know about your him. Though he is popularly known by the stage name, Adekunle Gold, his real name is actually Omoba Adekunle Kosoko. He is a highlife singer, songwriter, sculptor and graphic designer who was born on January 28th, 1987, to Mr and Mrs Kosoko, in Lagos, Nigeria. He is also a Prince from the prestigious Kosoko royal family of Lagos State. He is a nephew of legendary Nollywood actor, Jide Kosoko who is also a prince. Though his parents were Muslim, his father allowed him and his three sisters to explore other religions if they liked and that was how he found himself in a church’s choir. Sadly, Adekunle lost his youngest sister, Busayo, to heart complications in 2011. In an interview, he revealed that his late sister was the only one who really understood him. He fondly called her his twin even though they were not. He wrote his first song at age 15 when he was in his church’s choir. He also got part of his stage name “Gold,” after a sermon his pastor preached in church. Adekunle was also a member of the now-defunct boy band “The Bridge Boyz,” a group formed in 2010 with his friend Seyikeys. They released three songs and a cover which include; “No Sleeping on a Bicycle”, “Norm Breaker” featuring Skales and “All of Me” (John Legend cover). After the group was dissolved, Adekunle worked on establishing his career as a solo artist while Seyi focused on producing for him. His first solo work was “Let It Stop”, which is a song about peace for the nation. However, the song didn’t gain the needed reception majorly as a result of the poor promotion because of a lack of funding to push the song. However, in 2014, he released “Sade,” to critical acclaim. “Sade” was a cover of “One Direction’s” hit song “Story of My Life.” The song got massive airtime on various radio stations and it won the “Best Alternative Song” category at The Headies 2015. In 2015, after the minor breakthrough with “Sade,” he was signed to YBNL Nation under which he released his debut studio album “Gold.” Prior to this signing, he was already working as a freelance graphic designer for the YBNL Nation label and is the brain behind the label’s logos and artworks of some of the label’s signed artiste. 1. Adekunle Gold was born as Adekunle Kosoko. 2. He is a nephew of veteran actor, Jide Kosoko. 3. He is an origin of Lagos state and a prince from the famous Kosoko royal house of Lagos. 4. He is the only son of his parent. 5. Adekunle Gold wrote his first song at the age of 15 and started singing in a church junior choir. 6. He is a graduate of Lagos State Polytechnic where he studied Graphics. 7. 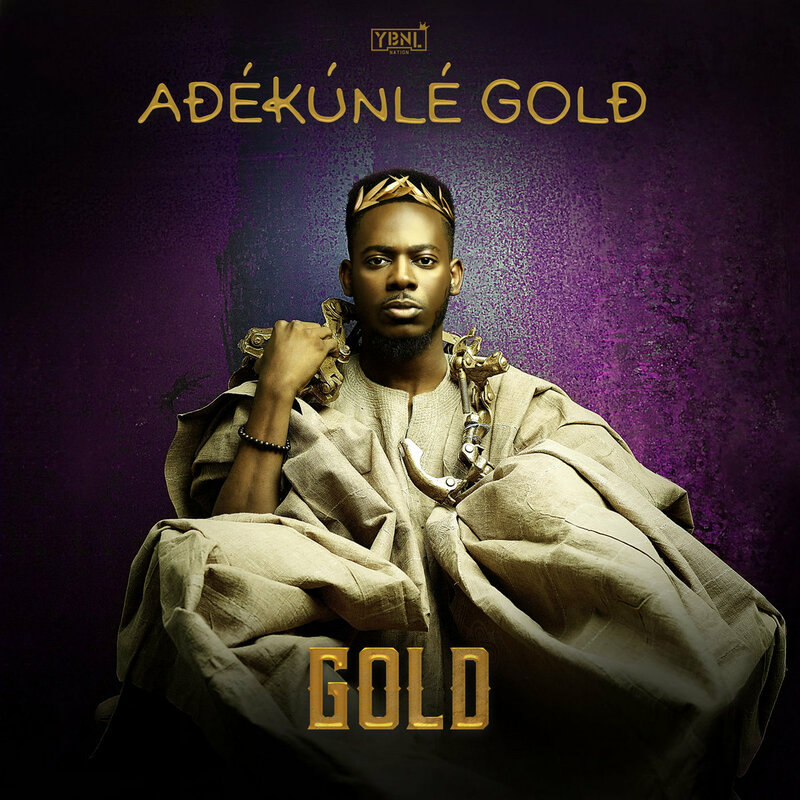 Adekunle added Gold to his name after a session in church with the inspiration coming from an excerpt of the pastor’s preaching. 8. He was a member of a boy band called The Bridge and they released the following songs: “No Sleeping on a Bicycle”, “Norm Breaker” featuring Skales and “All of me” (John Legend cover). 9. In 2013, he left ‘The Bridge’ to debut as a solo act. 10. His first song as a solo artist was “Let It Stop,” a song about peace for the nation. 11. In 2014, he released his version of One Direction’s ‘Story Of My Life”, which he titled ‘SADE’. This song enjoyed massive airplay and got him signed to YBNL. 12. Adekunle Gold is also a sculptor, painter, and graphics designer. 13. Prior to Adekunle’s signing to YBNL records, he was their graphic designer, the brain behind the label’s official logo. 14. Before his entry into the mainstream music industry, Adekunle Gold went viral after photoshopping himself into photos of popular celebs which earned him the moniker, ‘King of Photoshop’. 15. The single, Sade, won the Best Alternative Song award at the 2015 Headies awards ceremony. 16. Although his real age is unknown, Adekunle Gold is less than 30 years. 17. His follow-up single, ‘Orente’ like his debut was inspired by a true life experience. 18. Gold is reportedly in a relationship with ‘Jamb Question’ singer, Simi. However, none of the singers has confirmed the rumour and they rarely step out in public together. 19. Simi actually helped Adekunle Gold define his style and helped named his genre, ‘Urban Highlife’. 20. Simi mixed and arranged Adekunle Gold’s three singles, ‘Sade’, ‘Orente’ and ‘Pick Up’. 21. He won the award for ‘Revelation of the Year’ at the 2015 edition of AFRIMA. 22. Adekunle Gold made his movie debut on Kunle Afolayan’s thriller, ‘The CEO’. 23. The singer is also called YBNL Toaster by fans and some colleagues. 24. He is friendly and active on Twitter. 25. He shares his works regularly on his official website.